Bottom Line: Believe it or not, getting sick is a body signal that your immune system is working! Yes, you read that correctly. Every single day you encounter bacteria that could make you sick. Fortunately, when you come into contact with these germs, your immune system kicks in and starts fighting them off without you ever knowing. On rare occasions, when your immune system isn’t functioning at 100%, your body will give you a signal- like a fever or a runny nose, that sickness may be on the way. But, what if there was research showcasing how you could make a few simple changes and not only decrease your likelihood of getting sick, but also strengthen your immune system? Why it Matters: You probably know someone who almost never gets sick. Are they built with a superhuman immune system? Probably not. Most people who rarely get sick are taking pro-active steps to keep their immune system in tip-top shape. And when your immune system is functioning correctly- it can fight off almost anything that it comes in contact with. By making smart choices with your diet, staying active, and getting enough rest, you can ensure your immune system remains strong. Also, emerging research has shown that chiropractic adjustments can also improve our ability to stay well! - Eat a healthy diet of vegetables and lean meats to boost your immune system. Avoid sugar or foods that turn easily to glucose. - Exercise daily to help your body (and mind) stay strong. - Stay adjusted increases your ability to adapt to stress and research has shown that adjustments dramatically increase your immune response. 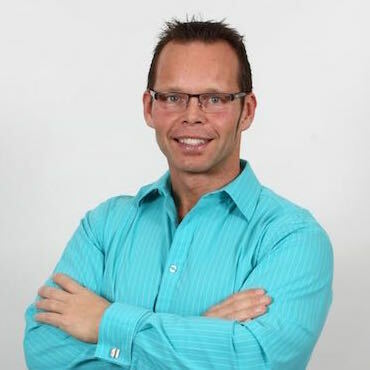 - Use natural supplements regularly such as Vit D3, Omega 3 and probiotics. Add a powerful antioxidants such as Elderberry, Reishi Mushroom, Astragalus, Olive Leaf Extract or Chlorphyl. 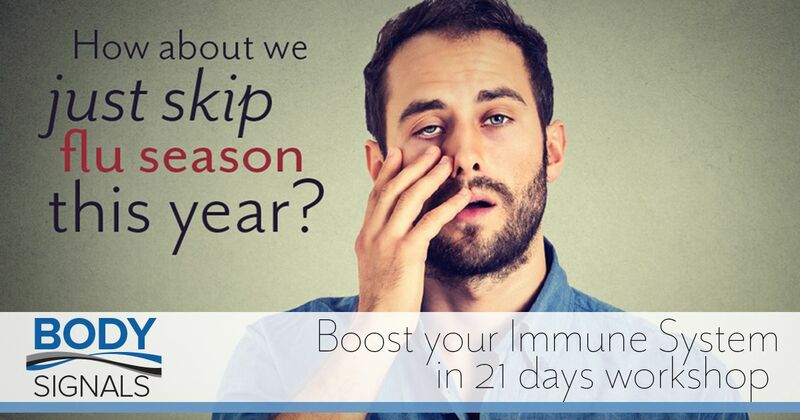 Next Steps: This is the perfect time of year to take a few action steps and boost your immune system. A robust immune system will help you stay healthy and active, enjoying the things you love with the people you love. 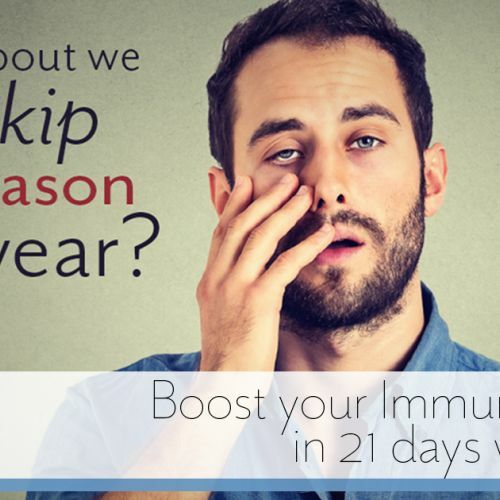 And don’t forget to attend our upcoming free dinner workshop February 26th, 2018, where we will give you a custom-tailored plan to boost your immunity in 21 days!